Vacation Marbella has already built an enviable reputation thanks in part to its guest services – but that is set to be strengthened even further after the luxury rental company announced the addition of a state-of-the-art app to ensure customers can enjoy a hassle-free holiday. The forward-thinking company is in the process of installing the highly-acclaimed Virtual Concierge, an easy-to-use touch-screen tablet that gives visitors access to detailed information on services, the local area, as well as instructions on how to use any appliance in its apartments. Vacation Marbella has years of experience in devising and delivering a host of guest services, such as arranging discounted green fees at some of the many golf courses in the region, fully-qualified baby-sitting, car rental, transfers, and even exciting excursions such as fishing charters and private tours. And to ensure visitors have every need taken care of, the company recently employed a new general manager, Yasmine Bentaher, whose comprehensive understanding in the concierge sector has seen him oversee exciting new visitor experiences for five-star hotels across Europe over many years. Borja Rodriguez, joint owner of Vacation Marbella, said: “We have always had a very strong emphasis on providing first-class guest services as we know how important it is for our visitors to feel welcome and know that any request they have is no trouble. “We are always on hand to help and advise every one of our guests, but they now have the added peace of mind of a high-tech app that can advise on a host of things to ensure they have access to all the information and instructions they need. 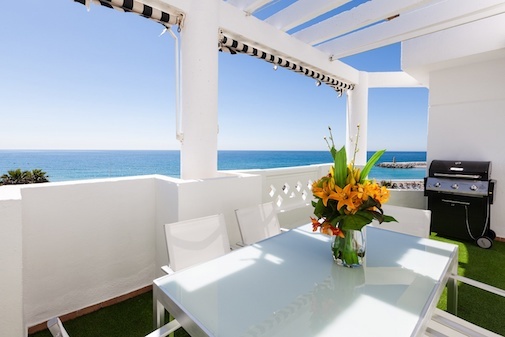 Vacation Marbella is a long-established company with a comprehensive knowledge of the Marbella region, dubbed “Golf Valley” and hosted more than 10,000 guests a year alone in 2017. Over the years they have developed some excellent relationships with some of the neighbouring golf clubs, allowing for discounted green fees, as well as creating some incredible five-night stay-and-play packages, including three rounds of golf in a choice of luxurious apartments a stone’s throw from the world-famous Puerto Banus harbour from just £280 (€319) now and £332 (€378) from April. 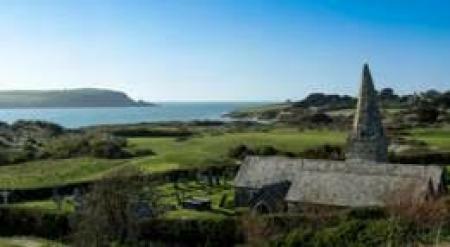 And with an average of 320 sunny days a year and properties on the doorstep of an array of highly-acclaimed courses, secluded bays, golden beaches, night spots and picturesque towns and villages, the area is a paradise for golfers, families, groups and couples.